Inside the Present Was a Poster! 16 Comments to Inside the Present Was a Poster! Very well made! 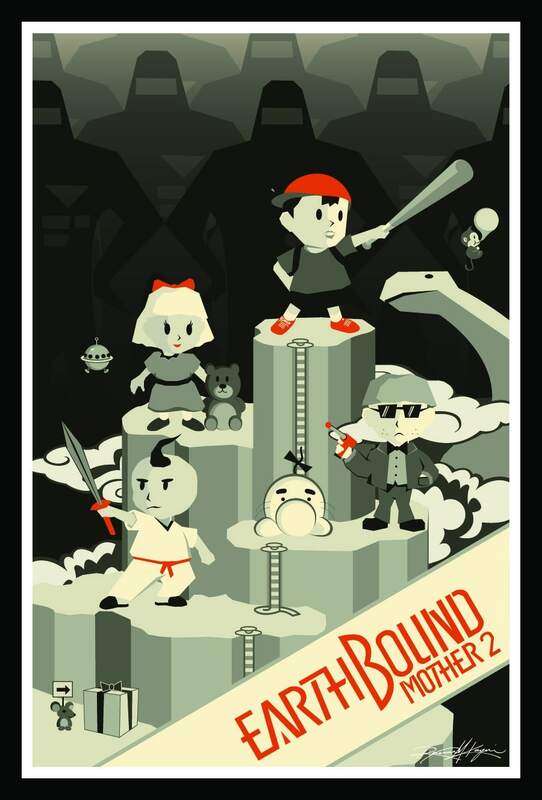 I’ve always wanted to see a poster of a high-def version of the opening screen of EarthBound (the one that says “MOTHER 2: GYIYG STRIKES BACK!” or “EARTH BOUND: THE WAR AGAINST GIYGAS”). I’d totally get it printed and put it in my room. Man, that poster looks pretty sick! @santiagoff, I don’t think the point was for you to be able to print it and use it too… just to show a sample. 🙂 If it was a unique gift for him/her, they probably don’t want a bunch of strangers having it in their rooms too! That’s so cool. Is it only in digital form or did she give you a print? If so, how big is the print? She printed and framed a giant version of the poster for me. And yeah, it’s vector art so she can render it at whatever resolution she wants. This was just a sample for my blog. Ooh, cool. I really like that design. Good job to the person who made it. The original print was 20×30 inches. Then I framed it in a nice, wide-trim, flat black poster frame (hence the frame in the online version). Oh their is the rumor of the baby background in Giygas’ boss battle. I don’t think that’s what it is. More reasonably and moderate evidence points to it being like a fight in their minds. so Giygas is to be in their heads. 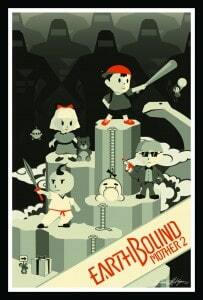 Para phrasing, “Itoi’s mental damage as a child, Ness’ face before and during the battle, when you remove the outer layer of the head you get in the mind, And once removed that makes you wanna cry scream for your mommies and wet yourself due to mental torture and fear.” Its a battle to remember Ness wont get his head handed to him. The idea of the Giygas battle being in their heads is interesting, and a cool way to precieve it, but it seems odd since if it was in there heads, how did they actually kill Giygas then? And Pokey actually DID flee into a another time as we know from Mother 3. So I think that’s evidence enough to know the Giygas battle did occur in reality. However, Ness’ face at the beginning definitely added that certain feeling to the battle even before it began. But the way I see it is that was Giygas’ way of getting into Ness’ head, to mess with his head. I remember seeing Ness’ face on that thing when I first played and being a bit freaked actually. Bearing in mind I was young, but it still provides that same feeling to me every time I get to that battle. There’s so much speculation to be made about that battle, I think if we asked Itoi, he’d say it’s whatever you make of it. He seems to like to give the player some free reign over their experience, which is probably why he wanted to make video games to begin with.